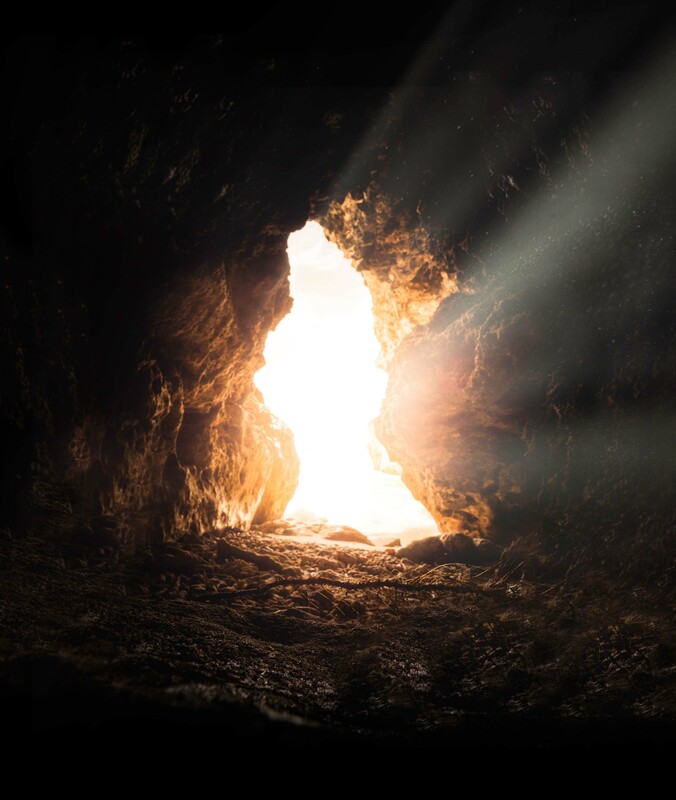 On Easter Sunday this year I posted the following note on Facebook : “So my first Triduum as a deacon and all I can say is that Easter this year has been a totally different experience. I have been overwhelmed with such a level of gratitude for my family, my parish, my pastor, my faith, my Lord. A blessed Easter to all. He is risen!” The response to the post took me aback. Hundreds of people, some of whom I have not heard from for a while, reacted to the post and some even commented. One deacon, ordained only a couple years, responded affirmatively that it was totally different for him as well. And two friends asked me to extrapolate What happened? How was it different? Here is my attempt to explain. I feel obliged to note a couple things for readers who are not exactly my close or even casual friends. First, my background is in theology. I have been working for the Church for 17 years now. When I talk about my family, I’m referring to my wife and our four kids. I was ordained on May 6, 2017. My parish makes a big deal of the Mass of the Lord’s Supper. At St. Peter’s we have three communities. We have English Masses, Spanish Masses, and we house Our Lady of Fatima Parish which is a national parish for the Vietnamese. Though separate, we are all grateful for being at St. Peter’s, and we appreciate each other’s expression of the Catholic faith. However, on the evening of Holy Thursday, we don’t have multiple Masses. We have one big Mass. The readings are in Spanish and English, Father preaches in Spanish and English and many of the prayers are in Latin, the Church’s universal language. It’s tough keeping all that straight, but we manage it. The upshot of it all is that, looking out into the congregation I could see people of many different ethnicities coming to and sitting through what ends up being a two-hour Mass. But they are there, young and old, to witness to the power of the Last Supper and to usher in the Triduum. At the consecration, Father prayed the 1600-year-old Eucharistic prayer in Latin. I have to admit I couldn’t understand everything said. But I could hear the pastor and the two concelebrating priests recite these ancient prayers carefully, with meaning, devotedly and with passion. The otherness of the language added to the power of it. The weight of the moment struck me. My emotions began to well up in my chest and my eyes. What were we doing here? Whatever it was, it was not about us but about a God who loved us so much so as to send his only son to suffer and die. After communion and the final prayers were recited, we placed all the remaining hosts in a ciborium and processed through the interior of the Church. Father was carrying the ciborium before him following several altar boys with lanterns and I and another deacon walked right behind Father, and we were trailed by more lanterns. As I did so, I saw many of the faithful reverence Jesus as we passed by. I also saw children, who had been very patient through such a long Mass, staring transfixed. One child pointed at the ciborium asking his mom what we were doing. Some of the congregants bowed their head and crossed themselves as Jesus passed by, their lips moving slightly in prayer. I saw a little Latino woman touch the hem of Father’s chasuble, his outer garment, as he walked by. Maybe she wanted a healing like that woman in scripture. (Mt 9:21) Maybe she just wanted to connect with Jesus. Whatever the motivation, hers was a physical movement of pious hope and love. She wasn’t satisfied by a look. She needed to touch Jesus somehow. As we processed on, snaking through the aisles of St. Peter’s, I saw another woman in a wheelchair, her body bent over, and I could see her eyes staring intently, pleadingly at the ciborium. I could read her lips saying, “I love you Jesus. I love you Jesus.” What faith! What love! I thought. Eventually, we would place the ciborium in the side tabernacle, under the statue of Mary and process out. Jesus would stay there all night to be visited by Catholics who wanted to stay with him. I was moved by the devotion of the people of God. This is my parish at the end of our Corpus Christi procession. That emotion would continue into Good Friday and the Service commemorating the Passion of Our Lord. This isn’t a Mass. All the statues and images (pictured) have been covered for a while, but now the altar is bare too. There is a sense of everything being barren. The deacons along with Father read the passion narrative. The most powerful part of the service was the veneration of the cross. We use a large crucifix, held by the deacon, while the faithful come up and venerate it in whatever way they choose. Coming up the central aisle they can touch the corpus with their hand; they can kiss it (usually on the feet); they can genuflect; they can show their devotion however they want. I stood back and to the right of the deacon who held the cross, and I was astounded by what I saw. I saw a father, moved by the pain of our Lord, gently kiss Jesus on the head crowned with thorns. I watched him as he walked back to his pew. His emotion decorated his face so finely that I could not help but become emotional myself. I know this father. He’s had a tough few years, but that was laid aside as he thought of his precious Lord. Or maybe it was at the forefront of his mind, and he was giving it all to Jesus. Regardless, he was living in the Paschal Mystery. I saw a mother with a tiny baby lean over and kiss the leg of Jesus while supporting her infant’s head. Life and death were bridged through her loving kiss. I saw a father and son kneel down together before Jesus, side by side. They kissed the leg of Jesus , the son taking his cue from his dad. I saw a well-dressed, older woman come up and say quietly, “I’m so sorry my Lord” as she kissed the wounded side of Jesus. Again, I saw that woman in the wheelchair say, “Thank you Jesus! Thank you Jesus!” as she kissed Christ’s feet. The deacon, tired of holding the large crucifix, asked me to take over. The devotion of the people was now right before me. I was suddenly an instrument to their expression of love. It was beautiful in its raw honesty. One by one they came up: children, parents, grandparents. I know these people. I serve these people. They came up humbly, with devotion and such love that it made me weep with love for them. I was a mess, to which the servers will attest, but I didn’t care. My heart ached with love for them, for their love of Jesus whom I love too. A young, handsome man here. An elderly Latino woman there. The whole world was coming to love on Jesus, and it was a stupefying thing to see and be a part of. The evening the next day, before the Easter Vigil Mass at which I was assisting, I had a lot on my mind. There was a young lady being received into the Church as well as a middle-aged gentleman who would received Communion for the first time that night. I had given them instruction and wanted to be sure they were comfortable and knew what to do. I was also tasked with singing the Exultet. If you’re not familiar with it, it can take ten minutes… singing. Ten minutes of my chanting, and I was incredibly nervous. That nervousness helped, however, because, even though I had practiced it a dozen or more times, it kept me from bursting out in tears during it. The language is gorgeous, and it is a true invitation to everyone present to take this night seriously, to enter into the deep mystery of this night. The Mass was beautiful, but what I noticed most was the number of people who came. 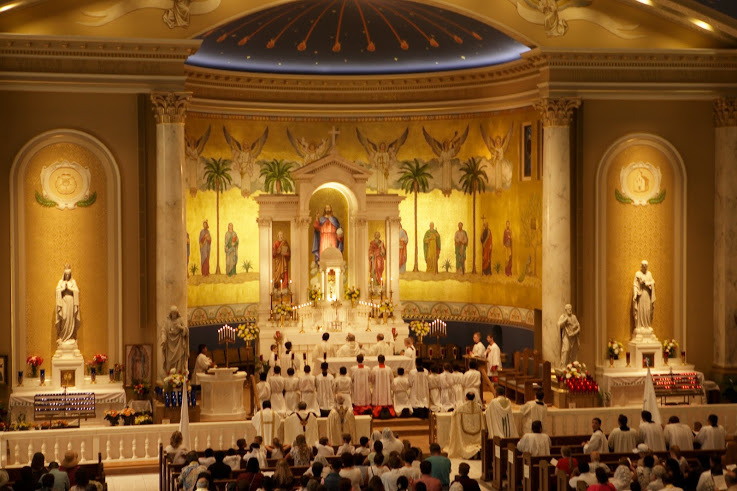 As many Catholics know, the Easter Vigil Mass is a long Mass. We read all of the readings at my parish… all seven of them. The whole Mass takes two and a half hours and doesn’t start until after twilight. Nevertheless, there were so many families there, so many kids. I was so proud of those parents and those kids. Sure many of the kids fell asleep, but that’s okay. They were there. In the end the young lady who became Catholic was crying, overcome with emotion at the liturgy. The gentleman who received First Communion was overjoyed. We were all of us happy that Lent was over but more so that Easter had come again and there was just so much for which to be joyful. Okay, so I saw all these things and experienced a whole new perspective. What was my take away? These days we hear an awful lot about how bad things are in the Church. Controversy follows controversy. Demographics and sociology suggest a dire future for the Church. We’re in a crisis everybody says. Indeed maybe that’s true. I mean I’m sure the statistics are real. There are many distressing facts about Catholic life in America… in the West. But the thing that struck me was that we rarely hear about the good things. This Triduum I got to witness the astounding fidelity of the people of God. Regardless of their race or age or background, regardless of how they vote or their politics or stages in life, they came out to remember and express their deep love for the God who suffered and died for them. They came to these liturgies with their whole selves, and they placed their fears and desires and anxieties and hopes before Christ. They bore their souls, and I could see it all on their faces. Thanks to them, I could also see with my own eyes the Lord’s deep love for them. And I could put a finer point on the great honor it is for me to serve the people of God who yearn for the chance to worship Jesus. The people of God, about whom we hear a great deal of skepticism and suspicion, they want to love on Jesus. They want the chance to show him how much they care. 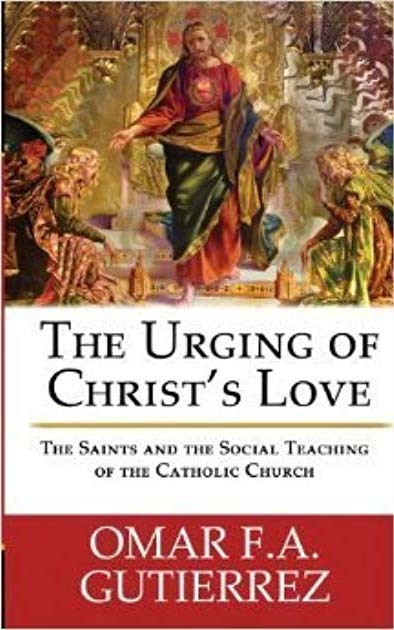 It struck me that the liturgies of the Triduum recounted Jesus’ sacrifice for them but also give the people of God the opportunity to express anew their deep love for Christ. This Easter, as with every Easter no doubt, I witnessed the people responding in pure unadulterated love to this invitation. So that’s why I posted that I was grateful for my family, my parish, my pastor, my faith, my Lord. They all showed me the power and beauty in the worship of God and God’s great generosity in giving us a Church so rich in the ritual language of love. You just answered a question I have had since I was a child….what it’s like being “on the other side of the altar”. Growing up with the original Latin Mass, long before even “girl altar servers”, I have tried to imagine what it must be like to be in a role such as yours during celebrations like the Tridium, to be a silent observer/witness of God’s people as they encounter Him in such a personal way. Your testimony is very close to what I envisioned and hoped for. Thanks, Omar. It makes my heart happy. So glad to have helped Sheila.